BVDevil had the most liked content! VOLS football, DEVILS football, ARIZ CARDINALS football. 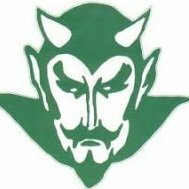 are the 2018 Devils the best in school history? i was hoping you would weigh in on this topic...oh and i betcha Tyrus would agree with you about Chaz too. 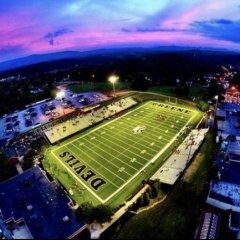 I think this team would mercy rule most any other team in the state at any classification......i said "Most" any other, so before someone on here throws maryville or oakland at me, remember that.....and yes, i think this team would mercy rule alcoa...just because i think alcoa would have no hope of stopping this offense and i dont think alcoa's offense could say the same.....covington shut them down most of the game and i didnt think anyone would do that. another tough NC schedule for us again. hope we pick up another good one to replace pisgaah....cant beleive they "chit the bed" in their post season this year...i was pulling for them to get a state title......as for us....the Locomotive cranks back up in late January, so everyone else has a month and a half....ish....to play on the tracks, then it will be time to get off the tracks again, cause here comes that big Greene Locomotive machine, with a HAMMER leading the way . that was my original thought too, but "Burley" is what built Greeneville dont ya think? Let me nip all this in the bud once and for all. I probably shouldnt have made the "life lesson" remark in my original post so, to that I appologize to coach Hookfin, should he stumble across this stuff. Secondly, sure, kids say stuff they shouldnt and i was no different. Heck Im half a century old and still say stupid things ( see life lessons remark). I guess i have just been conditioned to think everyone should say "thank you" when a compliment or well wishes are handed out.As far as the F U M F'ers comment, as i stated before, I'm standing my gound on that one. In my opinion it was wrong, but that's it....no harm no foul, i was just pointing out an observation of mine during the day. Maybe I should have just kept my opinion to myself, but as most people know, I have no filter and Im usually going to say what's on my mind, right wrong or indifferent. My "life lessons'' comment was made at the moment i was was typing my original post and at the time, it was what came to mind, based on the experience i was referencing. I certainly dont think those kids are "Taught" to ignore people or to ignore people who are wishing them luck, it just took me by surprise and stuck with me for a while so i said what was on my mind at that moment. Much like many issues and many incidents in life, ive had several days to think about it and to redirect my thoughts on it. That's why I'm making this final post on the matter. AGAIN, best of luck to the Tcat players, coaches, parents, staff and everyone involved with that program moving forward. 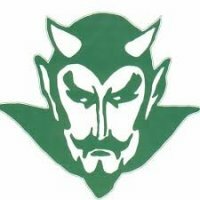 Please accept my humble appology for making a false assumption about what is being taught by the Haywood coaches. Merry Christmas, Happy new year and hope to see you all in Cookeville again next year.